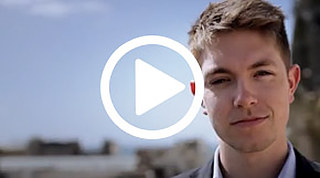 Looking for a corporate video production company in Brighton? Great…you just found one…So get in touch! So you want to get your message accross in a clear and concise way, without boring your audience, right? Well, apart from presenting to each of your prospects personally, there’s no better way to do that than through video. With video, your prospective customers get to see you and your passion for your business or product. Remember, people like to do business with people, not websites. Video has the power to inject some of the face-to-face contact that we miss out on when surfing online. So take a moment to watch some of the corporate video examples I have produced recently (see below) and think to yourself how professional you and your business would look with a similar video. 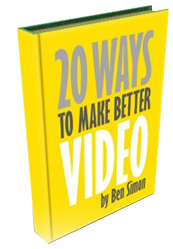 How would that video effect conversion rates on your site? The Corporate Video Production process can be a speedy one, so get in touch now for a quote. Enjoy! Show your personality and attract like minded clients. Be ahead of the competition by investing in yourself and your brand. Win your potential customers by showing your passion and enthusiasm for your business. dotmailer wanted to demonstrate what a fun and innovative company they are, and inspire potential employees to join their team. 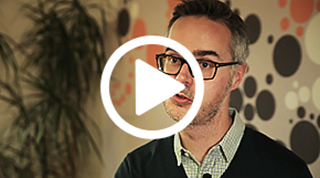 This HR video with current employees sharing their uplifting journeys and experiences of working at dotmailer, and footage of company events, is an ideal way to give viewers a look into the everyday life at the office! Korus Recruitment Group are a young, thriving company looking to attract the best people into their organisation. 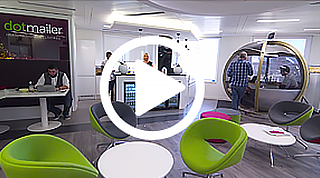 We were commissioned to make a ‘Work For Us’ video which encapsulates their company culture and values, while showing the work hard, play hard sales environment that IT recruitment has to offer. With some great looking interviews, graphics and a pumping sound track this video really packs a punch! 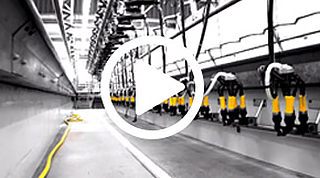 This is a video made for ADF Milking, which is a company who created the automatic dipping and flushing system for milking cows. Media Brighton can produce videos in many different styles. If you’re looking for something that is fun and dynamic, we put your ideas together with our own and create a unique video that will tick all of your boxes. 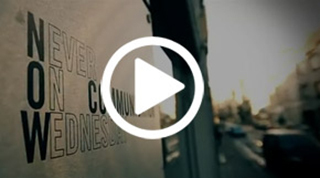 We were commissioned to make a business profile video for this Belgium and Holland based fashion PR company. The video had to be very slick and echo the luxury values of the brands and lifestyle products that Never On Wednesday deal with on a day-to-day basis. We were flown over to Amsterdam Fashion Week where we had front row seats to take some great catwalk footage. Very cool! B2B Marketing needed a way to advertise their professional training service for b2b marketers. This advert, with expertise from the company’s editor-in-chief, and testimonials from those attending the course, was a great way to get their message across and get potential customers interested. This business profile video was created for my sister Bex Simon, an up and coming artist blacksmith. I made use of my dolly track to add extra quality to the production value. The video sits on her website and helps give people a sense of who she is and what she does. People like to do business with people, so it’s extremely important to use yourself in your back story of the business. Video is the most effective way to do this! It doesn’t matter that you’re not based in Brighton, we travel! The net's number 1 autoblogging poster.